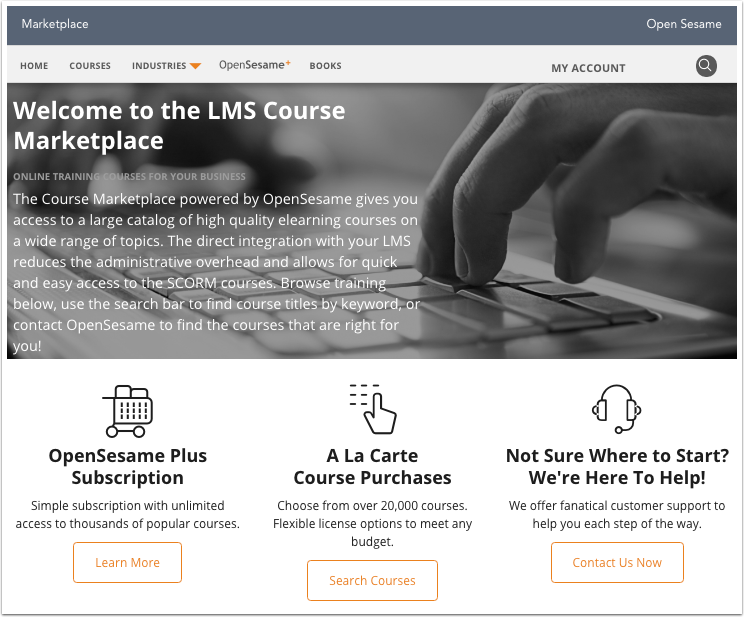 In the Bridge Marketplace, you can browse a catalog of course content and purchase course bundles offered by OpenSesame. OpenSesame is the world’s largest source for online training courses, offering 20,000+ courses available instantly. Course content from OpenSesame is imported to Bridge as a SCORM file. Safari currently does not support the authentication method required for accessing OpenSesame through Bridge. Chrome or Firefox browsers are recommended for browsing the OpenSesame Marketplace. In the Admin menu, click the Content Marketplace link. Click the Browse Courses button. 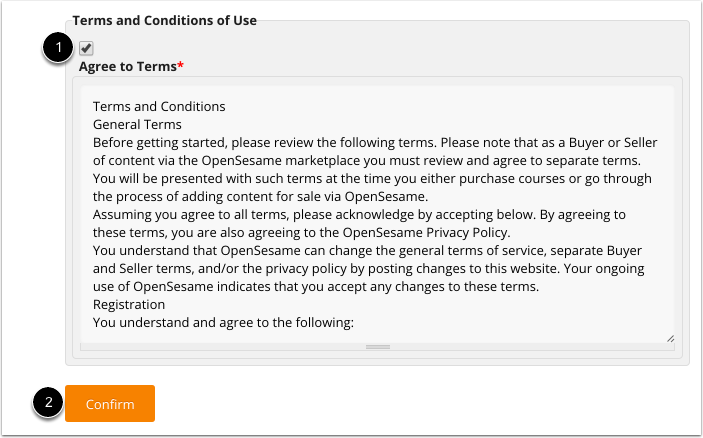 The first time you access OpenSesame, you will need to agree to the terms and conditions of use. Click the Agree to Terms checkbox  and then click the Confirm button . Browse and select courses to add to Bridge. Click the left or right arrow buttons to scroll through the list of recommended courses . To view additional details, click a course card or bundle card . When you're ready, click the Add to Cart button. 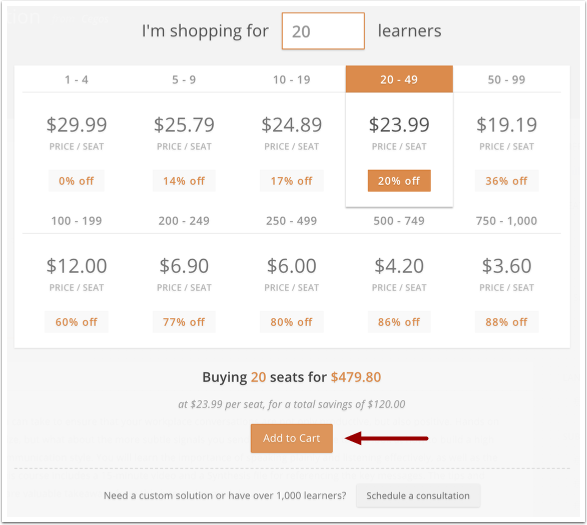 Before the item can be added to your cart, you will need to verify the number of learners that will be taking the course. Click the Add to Cart button when the number has been verified. To pay with credit card, you will need to enter your billing information and credit card information. 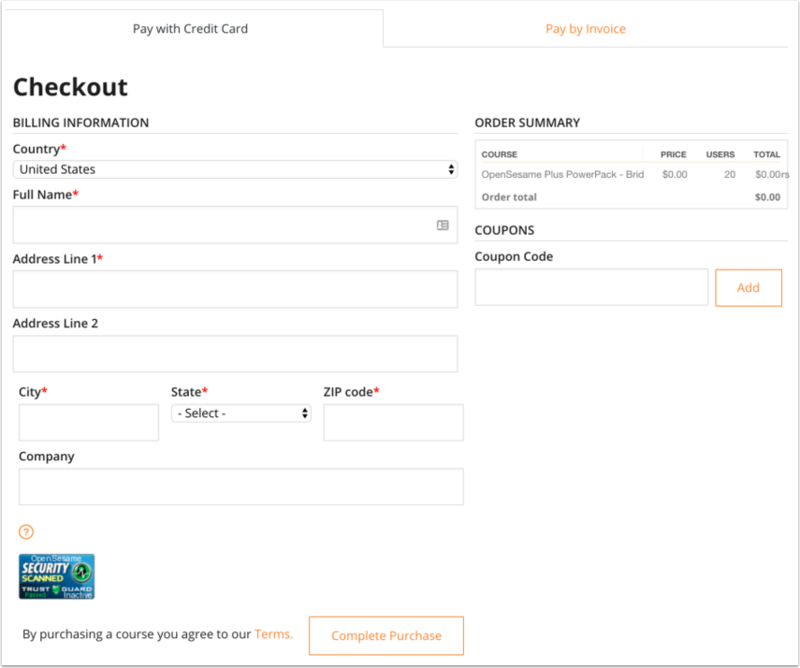 When you're done, click the Complete Purchase button. 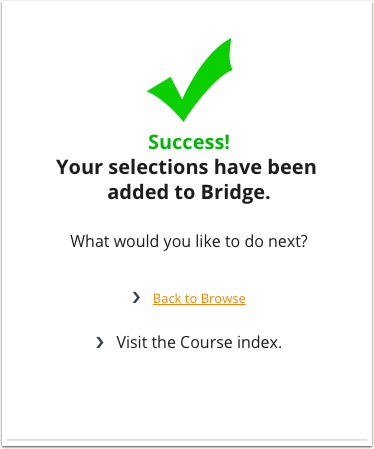 You will receive a confirmation once your courses have been added to Bridge. The imported courses will be shown on the Courses page. Previous Topic:How do I export course reports from the Courses page? Next Topic:How do I delete a course? 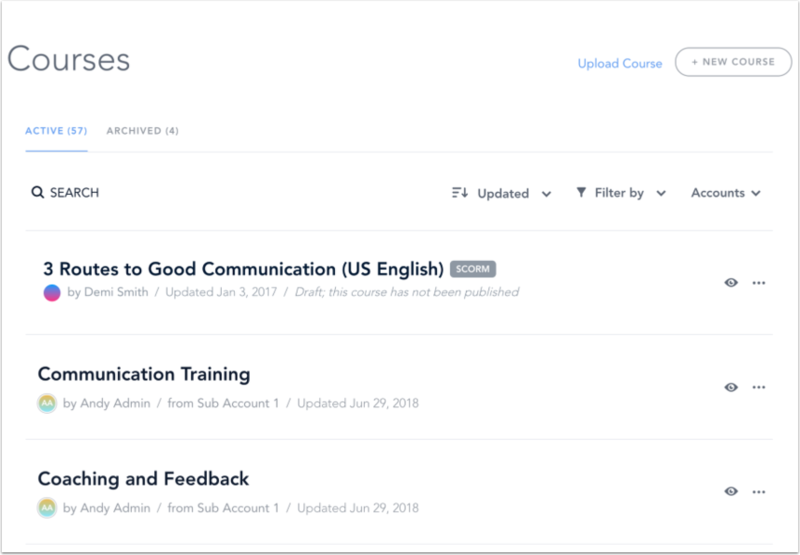 Table of Contents > Manage Courses > How do I add courses from OpenSesame?